You have recently been on a two week adventure holiday in a foreign country. A good friend writes to you because they are thinking about booking a holiday with the same company. You should describe the highlights of the holiday and any problems you encountered and state if you would recommend the experience to your friend. Hello mate! How’s it going? What’re you up to nowadays? Lovely to hear from you. It’s been ages since we last saw each other. I hope all’s well. In the task you have to tell your friend about both the positive and negative sides of the activity. What I don’t want you to do is write one paragraph of good points and one of bad because who writes a letter like that? I want you to mix the good with the bad. Even though the instructor didn’t speak English (bad), we still managed to pick up the basics. (good) Apart from the first day when it poured, we had clear blue skies every day. Apart from the taxi driver who tried to rip us off, all the people were lovely. If you did decide to go, I could lend you…../I might come with you. If I were you, I’d……….. If I had/hadn’t……………., we could have…………. Not only did we see lions and elephants, but also giraffes and monkeys. The excellent food more than made up for the awful weather. I got a lot out of the training sessions. To catch up with someone – to share the latest news about your life with someone. We were walking through the jungle when we came across some old ruined buildings. To get on/along with someone – to like and be friendly with someone. We kept on walking all night. The manager came and sorted out the problem. Another amazing phrase sheet from Cork English Teacher. Here’s the link to their instagram. Phrasal verbs/idioms/impressive collocations. Forms and conventions:Title: for films/books/restaurants use the name/title or if think up an imaginative title using an idiom/expression. Planning, 6 step system:1. Read task, underline content points. 2. Divide content points into paragraphs: Intro, décor, ambiance, service, food, recommendation. 3. WHAT do you want to say? Add your notes to each paragraph in simple form. 4. HOW are you going to say that? Brainstorm advanced grammar and vocabulary for each note. 5. Forms and conventions: Title paragraph titles, fixed introduction. 6. Write! Remember word limit is: 220-260 Introduction:Personal anecdote to grab attention. Introduce name of book/film, restaurant + location, course, TV show etc. Being a bit of a film buff/book worm/foody, the news that … had opened a new restaurant/released a new film/book had me itching to try/see/read it. So last week I popped down with a friend to check it out. Having never seen/read/tried… before I approached … with a sense of trepidation, not knowing what to expect. Soon however, all my fears were allayed. a page-turner / a white-knuckle ride / a tearjerker / a laugh a minute / I couldn’t put it down. heavily influenced by the films of..
made a lasting impression on me. The film is let down by a clichéd script. …comes off badly in comparison with … Grammar check listHave you included? What other types or review have you come across in CPE exams? Let me know and I’ll endeavour to add language for them to this phrase list. Title: for films/books/restaurants use the name/title or if think up an imaginative title using an idiom/expression. 1. 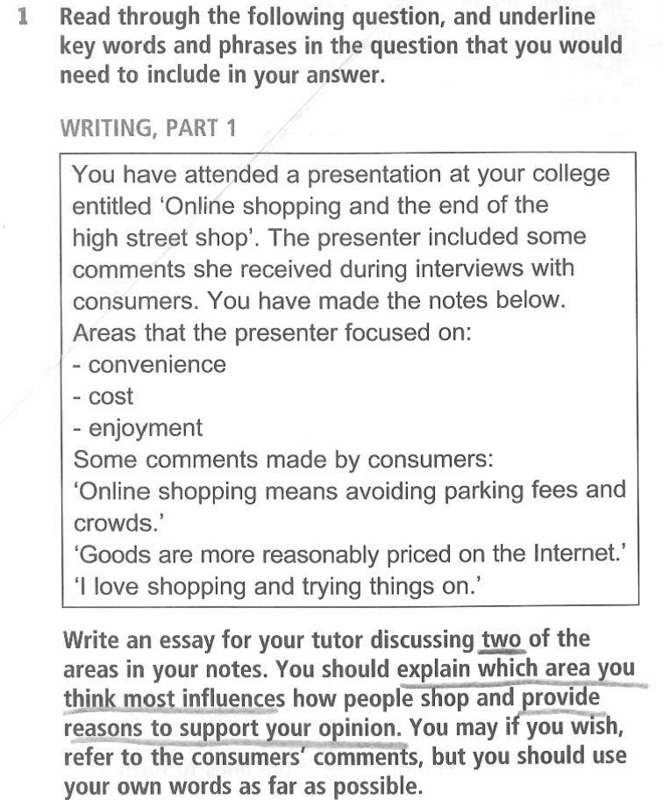 Read task, underline content points. Personal anecdote to grab attention. Introduce name of book/film, restaurant + location, course, TV show etc. Service with a smile A plate piled high with..